Get the results of your email campaigns – easy and quick. With one click you get all the data you need – who opened your email, bounce rate and those contact for which we do not have info (they probably didn’t open the email). 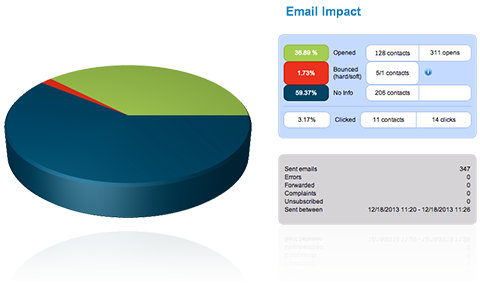 With campaign analytics you can easily see the impact of your email compared to other emails.